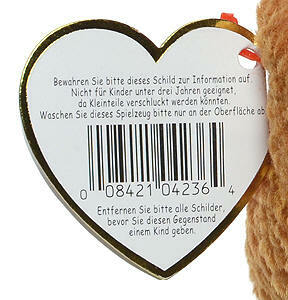 The first Germania swing tag had German text inside and English text on the back. There was a spelling error in the German text. 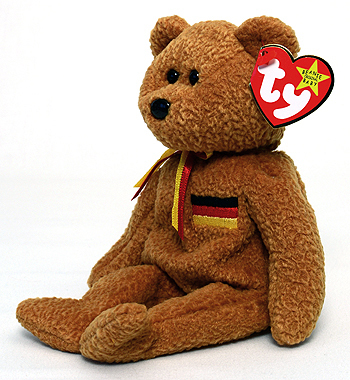 The second Germania swing tag had the spelling error corrected on the inside and the text on the back had been changed to German. soll dieser B�r der liebste sein ! Is the song of German unity. Should love this bear the most. 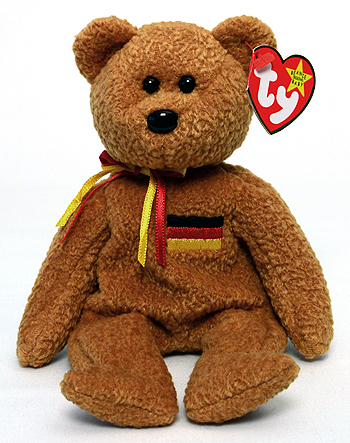 Germania was the first Beanie Baby to have its poem in a language other than English.